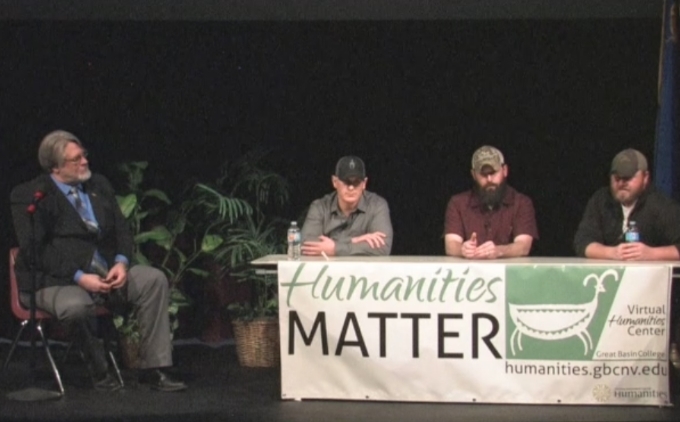 The panel was filmed on 6 April 2017 in the GBC Theater. View video in separate page if above player does not work. 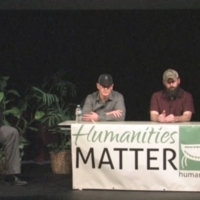 Virtual Humanities Center at Great Basin College, “Reintegration of Returned Veterans (Black & White Movie Night Panel Discussion),” Digital Humanities of the Great Basin at Great Basin College, accessed April 25, 2019, https://humanities.gbcnv.edu/omeka/items/show/411.